The weather has been pretty dreich this summer in Argyll which has meant I haven't been able to get much outdoor exploring done however the positive side of the rain is that it has led me to do more indoor activities like museums and castles, something which I haven't done much of in recent years. 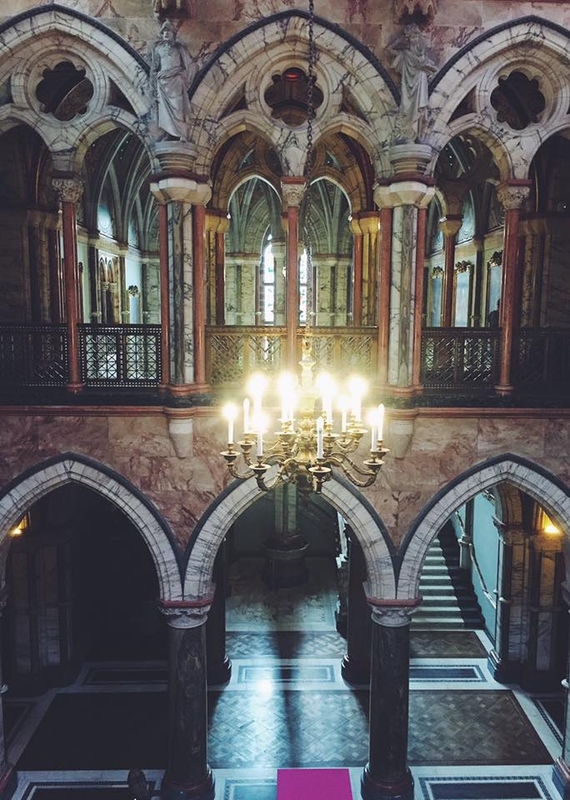 I have visited some lovely places but in opinion nothing has come close to Mount Stuart on the Isle of Bute. This place is really a sight to be hold. This extraordinary Neo-Gothic mansion was the creation of the 3rd Marquess of Bute (rumored to have been one of the richest men in the world at the time and a direct descendant of Robert the Bruce) and his architect Sir Robert Anderson, the design was inspired by the Marquess's love of all things beautiful and mystical. 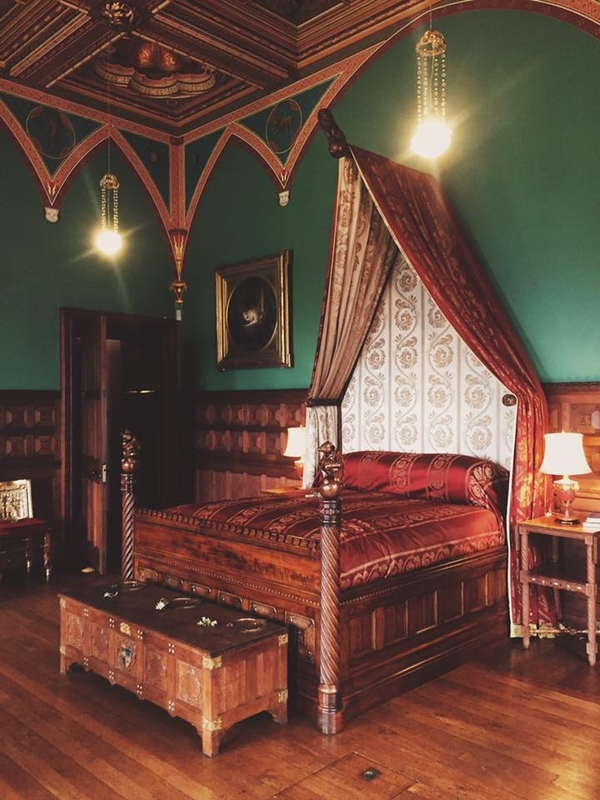 The day I went to Mount Stuart was very wet and windy so I wasn't really enticed to get out of my car and explore Rothesay so I headed straight to the house. The visitor center and car park is located about half a mile from the house itself but thankfully there is a wee mini bus which runs people up and down which I was very thankful for otherwise I would have gotten drookit. On a more pleasant day however it would have been lovely to wander through the gardens. 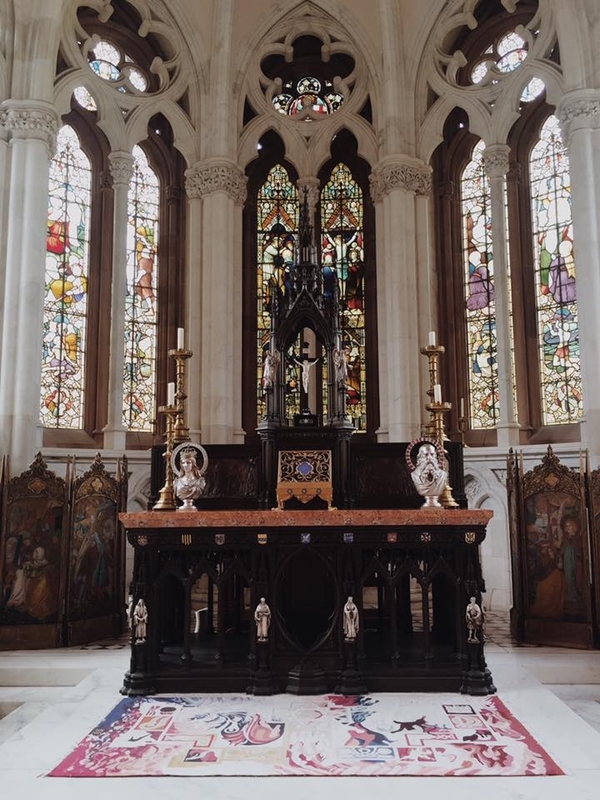 On entering the house I headed straight for the chapel and OH MY GOODNESS this place is stunningly beautiful!! The chapel is white and predominately made of the finest Italian Cararra marble, apparently more marble was used to build this chapel than the Sistine Chapel. The stain glass window in the chapel are also magnificent. 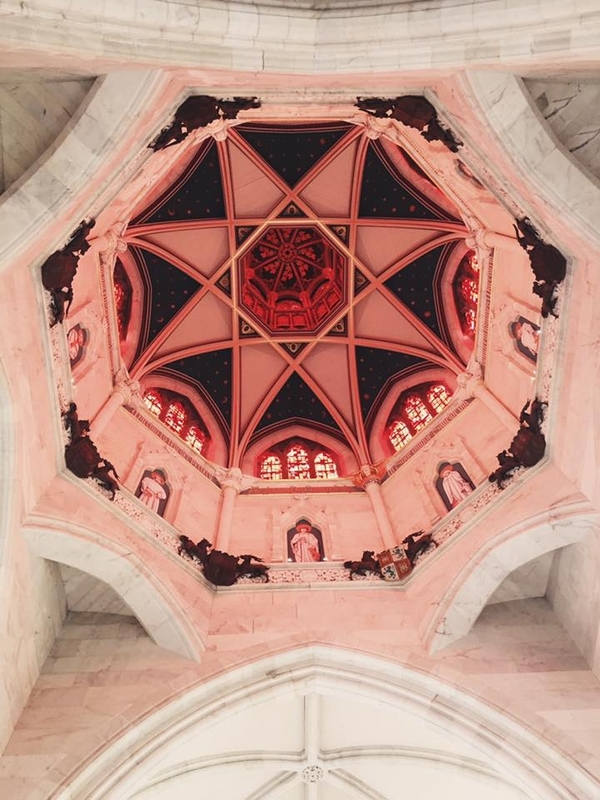 But I think you have to look up to see the most beautiful part of the chapel, the dome is truly spectacular, I could ramble on forever about it's beauty and design but I'll just keep it simple and post a picture instead. 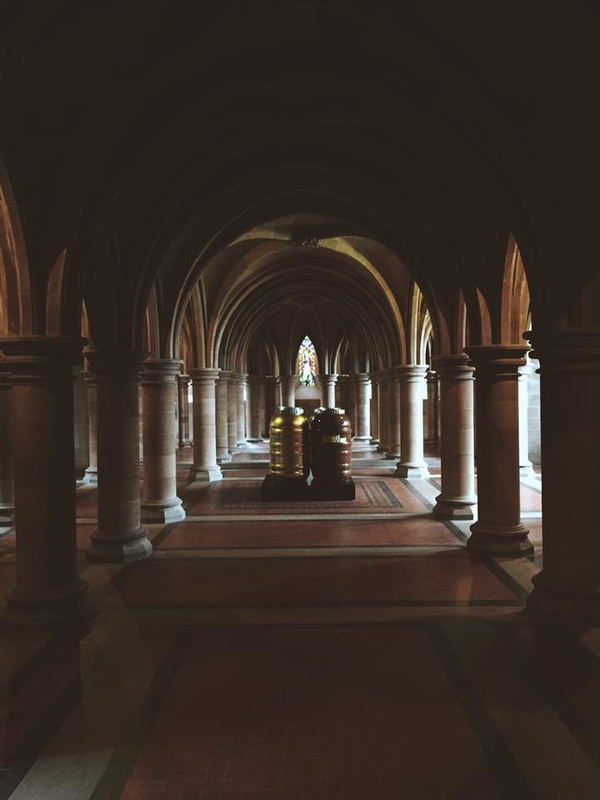 The crypt, many of the rooms have art installations at the moment and this is what is on the middle of the room. 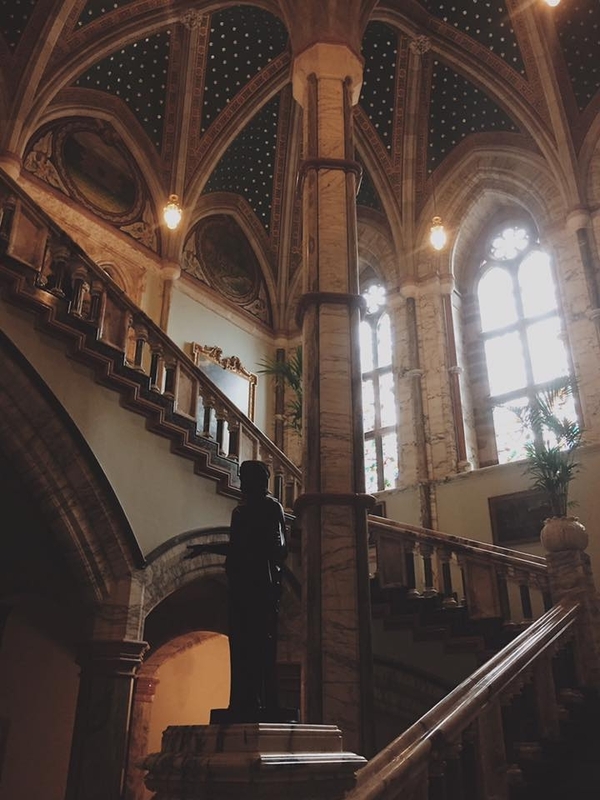 After exiting the Chapel you enter the great hall and again it really is breathe taking, the ceiling is around 80ft high and marble pillars tower to the ceiling, it looks like somewhere a Disney princess would live. The side walls are covered in a massive Tapestry depicting a highland scene. But again you have to look up to see the true majesty of the room and genius of the designers. 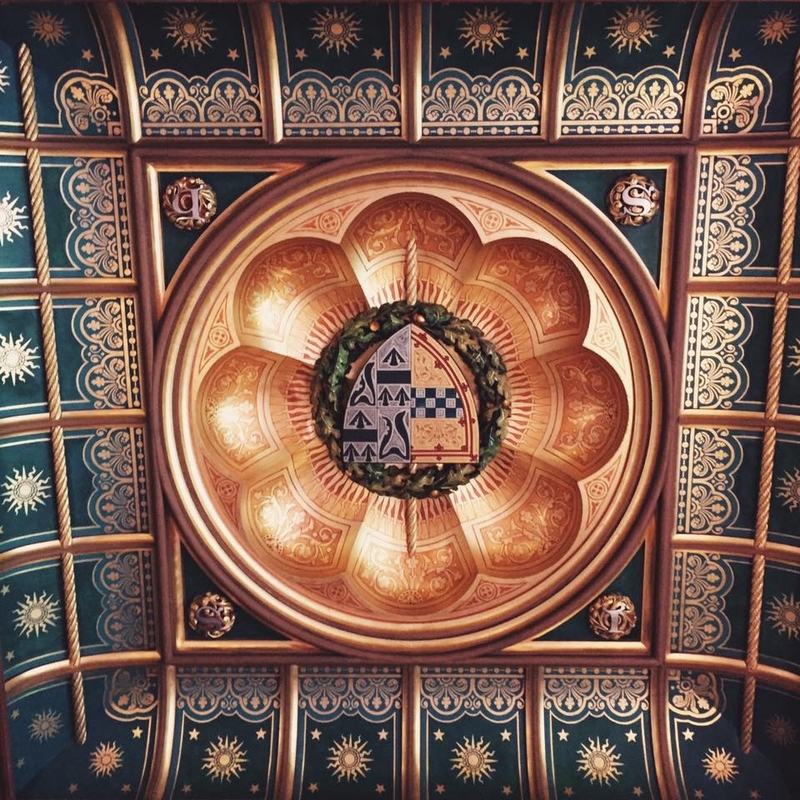 The Marquess was fascinated by astrology and this really shows when looking at the ceiling on the great hall. At first it just looks like a sky full of stars but you then see that the stars actually make up the constellations which makes it even more impressive in my opinion. There are 12 stain glass windows in the hall which each depict the signs of the zodiac, there are leaflets which tell you a wee story about each window which is interesting. My sign is Scorpio and he is basically causing havoc which sounds about right. But what an imagination he must have had. 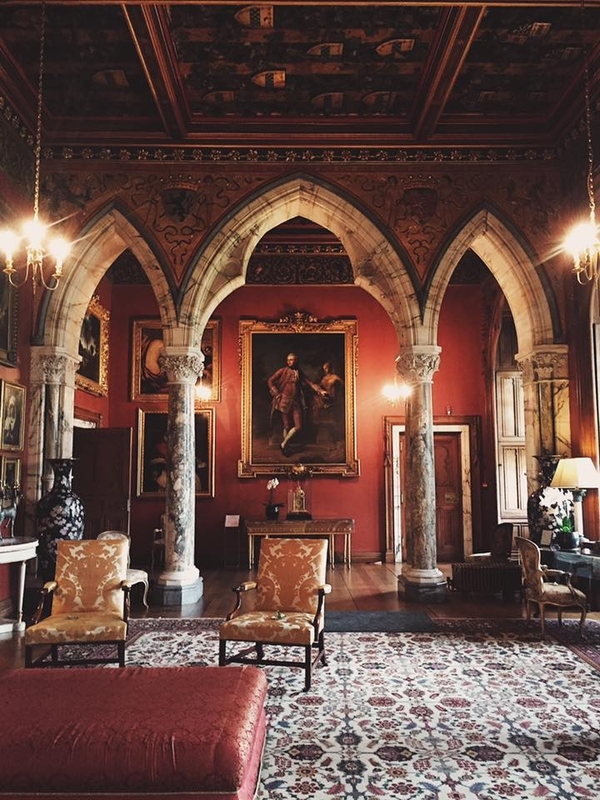 Just off the Great Hall is an amazing library with an incredibly collection of books and beside the library is the drawing room which looks a bit like this.. Leading off the Great hall to the upper half of the house is a marble staircase which is lined with some incredible art works, my favorite piece of art in the entire house hangs here; a painting of Loch Lomond by John Knox. The bedrooms and bathrooms are located upstairs, I didn't take any pictures of the bathrooms because i didn't find them overly exciting but again the bedrooms were pretty impressive. There was a conservatory off this bedroom so that the Marquess could watch the stars at night if he couldn't sleep. Again the ceilings of the bedrooms were decorated with incredibly intricate and beautiful designs. This design was repeated many times on the ceiling of one of the bedrooms but every shield was slightly different and if I overheard the guide correctly they all represent different family marriages. Below is the view from the upstairs balcony. 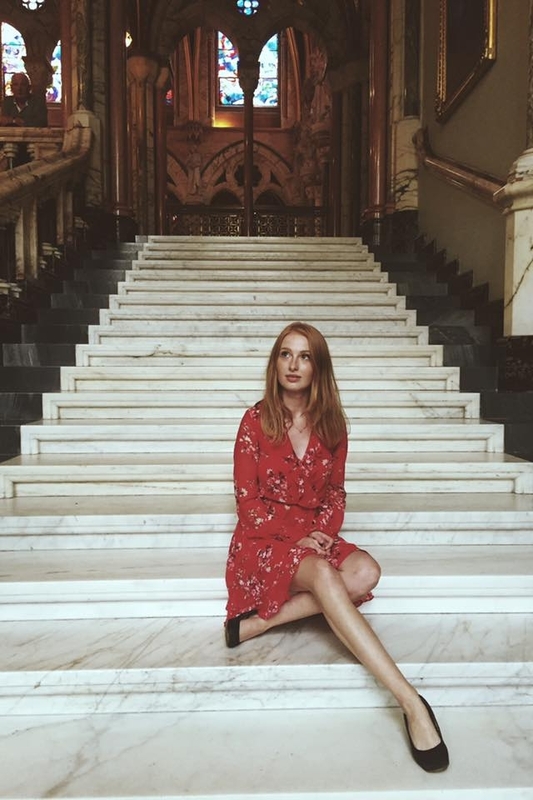 As you can see there is Marble EVERYWHERE! The house also boasts the worlds first heated indoor swimming pool which I didn't come across and when I visited the dining room had been changed into a art gallery so I didn't get to see the dining room in all it's glory however the art collection here is amazing and is worth a visit alone. I spent a good hour wandering around the house and re visiting rooms and would have gladly stayed longer but there was talk that the ferries could have been disrupted by the weather so we didn't want to risk getting stuck on the island. 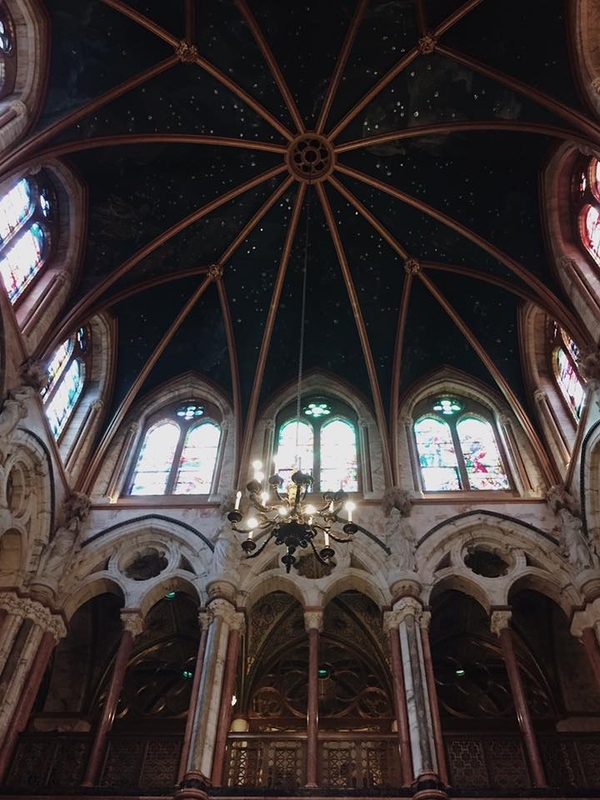 Overall if you like beautiful things Mount Stuart is a must visit and I definitely intend to return one day soon! What a wonderful post about a not-as-famous destination. Great job @eilidh__cameron, would love to check it out if we're in the area. I would highly recommend it! And you're right it's no where near as famous as other places. I hadn't heard of it myself until my colleague mentioned it.